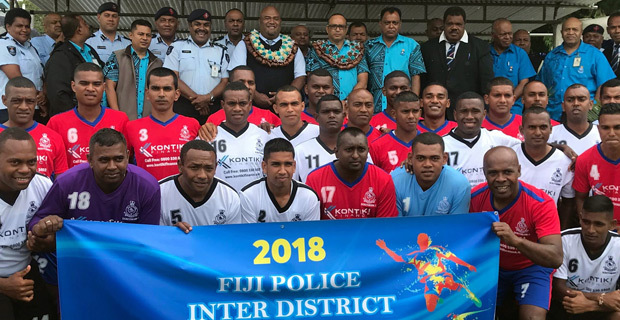 There will be mandatory drug tests for all Police Officers who will be playing in the 2018 Kontiki Finance Police IDC. This was revealed by Police Commissioner Sitiveni Qiliho while opening the competition at the Nasova Grounds this morning. Qiliho reminded the officers to win honestly and fairly and leave no room for protests. Qiliho warned the players not to bring a bad name to the Police Force. He had earlier highlighted that some officers who were involved in the drug trade have been sent home. The Police soccer team that will participate in the Sukuna Bowl will be selected from this tournament.